Bored? Tired of watching the same stuff all over again? Well, here’s the solution! 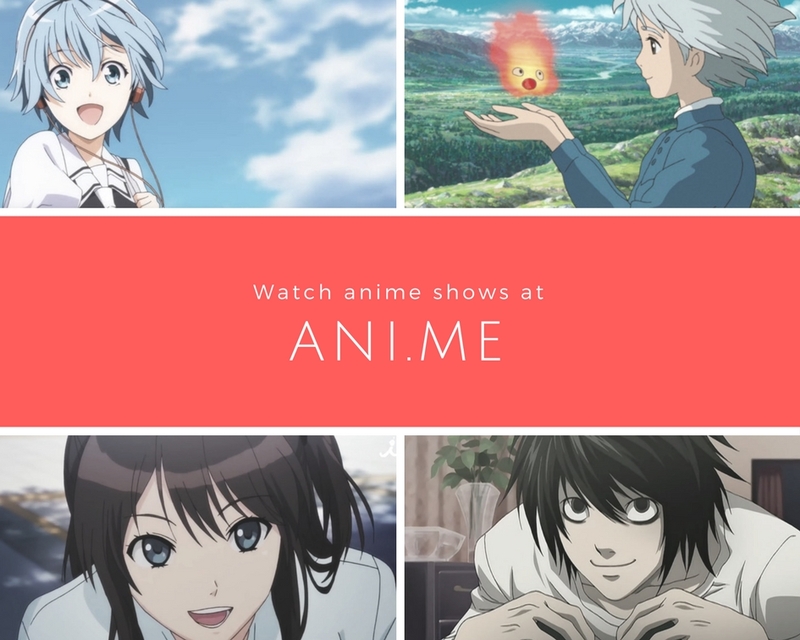 -Watch some anime series that you haven’t encountered before! Here, I’m gonna suggest some anime that might be helpful in entertaining your extra time anywhere. So here’s the list of anime recommendations that might help you discover something new! Hideki “Rusian” Nishimura has proposed to a girl in an online game but sadly, this girl rejected him. But the worse thing happened right after, the girl in the online game was actually an old man in real life! Right then and there, his heart was broken and his dreams were destroyed, driving him to never trust any girl in an online game again. But years later, Hideki is now in a guild with three other players. A female avatar in the game named ‘Ako’ was deeply in love with Hideki’s avatar, named ‘Rusian’ and was hoping to marry him. Thinking that the character was played by a guy (like what he experienced before), he accepted her proposal as entertainment. Later, a discussion between the guild members of the game led them to have an actual, offline meeting. Surprisingly, Hideki discovered that the ‘Ako’ character plus the other members were actually his schoolmates! Eiji Hoshimiya was asked by a fairy whose name was Daisy, ten years ago, for his one and only wish. His wish remained a mystery throughout but the consequences appeared to be very catastrophic. An event called the ‘Great Destruction’ has caused everything in the world to collapse and destroy, including the people. Eji was only a high school student and was very concern for his sick sister. He doesn’t remember what he wished for, but his wish definitely caused the Great Destruction. Arata Kaizaki has been around from one job to another after quitting his first company. He has also been recognized as a loser by everyone around him, much to his dismay. But when he meets Ryou Yoake, a member of the ReLife Research Institute, who offers him the help by using a mysterious pill, his life has been given an opportunity to change for the better. After taking the pill without a second thought, Arata awakens the next day to find that his appearance has reverted back to 17 years old. Naho Takamiya’s first day of her high school sophomore year has been pretty much uneasy. After waking up late, she receives a letter that was strangely addressed to her. But what surprised her the most is that the letter is from herself, which was 10 years in the future! Naho is doubtful about the note at first but after witnessing several events that were described to take place, she realizes the letter was really telling the truth! Mizuki Usami was a member of an art club and was definitely passionate, but the club has a problem. Mizuki is the only member who is serious enough to take her craft to a higher level! Another problem was the club president who was definitely lazy enough to sleep throughout the activities. Collette has not even regularly attended the club activities in quite some time. Uchimaki Subaru (another character) was obsessed with creating the perfect 2D wife in his work, despite being an exceptional artist who could win an award if he tried. Mahiru Shirota believes that it’s troublesome to do nothing and regret it later. But due to this ideology, he was led to pick up a stray cat on his way home from school. He named the feline Kuro but little does he know that this chance will create an extraordinary change in his everyday life. Hanae Ashiya’s high school career has not been easy at first, especially, when he has spent all of the first week in the infirmary. His condition was different and inexplicable which was getting worse by the way. But the very cause of his misery was only a mysterious fuzzy cute creature that has attached itself to him ever since he hobbled upon it the day before school began. I’m planning to watch Orange soon after reading the manga! Yes, I heard it was great!!! 😂😂😂😂 You should! OHHH MY GEEEEEE!!!! NEW ANIMES!!! !